Are you Auto Enrolment ready? Automatic enrolment has been introduced by the UK government to ensure all employers comply with the workplace pensions laws. All UK employers are legally required to a provide a pension scheme, which they must contribute towards, for their employees by 2018. This means as a business owner you need to enrol your staff into a scheme and make contributions, starting from your staging date. KashFlow Payroll makes complying simple with a complete, online auto enrolment solution. You must make an employer’s contribution to the pension scheme for those workers. Click here to read more about your responsibilities as an employer. If you are an employee and already enrolled in a workplace pension scheme, then you won’t see any changes. But if your employer doesn’t contribute to your pension, they have to start after they enrol their staff. Click here to find out more about how much you and your employer should be contributing. Each business has a deadline to start complying with the laws (known as a ‘staging date’) and this date depends on how many people you have on your payroll. You can find out your staging date here. If you fail to comply, The Pensions Regulator can take enforcement measures, including issuing penalty notices. These are a fixed penalty notice of £400 and a daily fine of up to £10,000 depending on the number of staff you have. They can also issue a civil penalty for cases where you fail to pay contributions due. This is a financial penalty of up to £5,000 for individuals and up to £50,000 for organisations. Click here to read more about these enforcement measures. Step 1 - Find out your staging date and who you need to enrol. Step 2 - Understand your responsibilities as an employer. 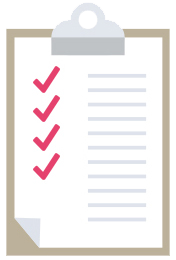 Step 3 - Consider choosing a payroll software provider that is auto enrolment ready. Step 4 - Seek advice on workplace pensions and choose a pension provider. Step 5 - Begin employee communications and learn how to avoid auto enrolment fines. Step 6 - Learn how to streamline your auto enrolment process. Step 7 - Take advice from companies that have already staged and refine your auto enrolment plan. 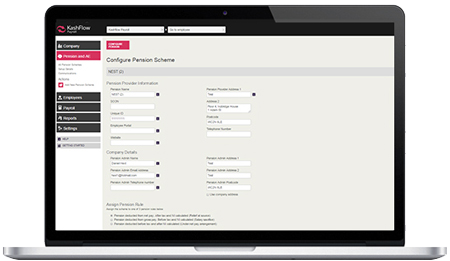 Step 8 - Configure and test your auto enrolment software. 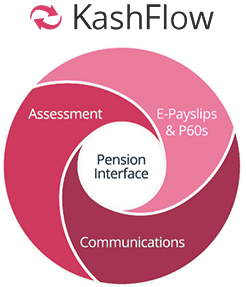 The KashFlow Payroll auto enrolment solution makes complying with workplace pensions laws easy. 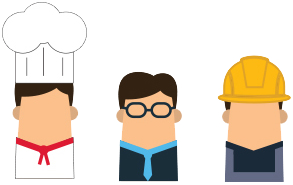 Download your free guide: "7 auto enrolment top tips for businesses staging in 2016". Provide reliable auto enrolment compliance services to your clients by using KashFlow Payroll as a bureau. 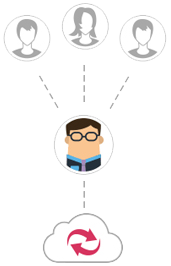 By using KashFlow Payroll as a bureau accountants can unlock efficiencies within their payroll function including integration with individual client KashFlow accounts, automated RTI submissions across all companies and automatic online payslip delivery included within a unique accountants pricing structure. KashFlow Payroll + Accounting free for 14 days.